Remember when I said I struggled to decide between a shawl and a toy for my donation to this year's Pittenweem Arts Festival project? I went on and made Hogwart's Express by Susan Ashcroft (pattern available to buy on Ravelry). 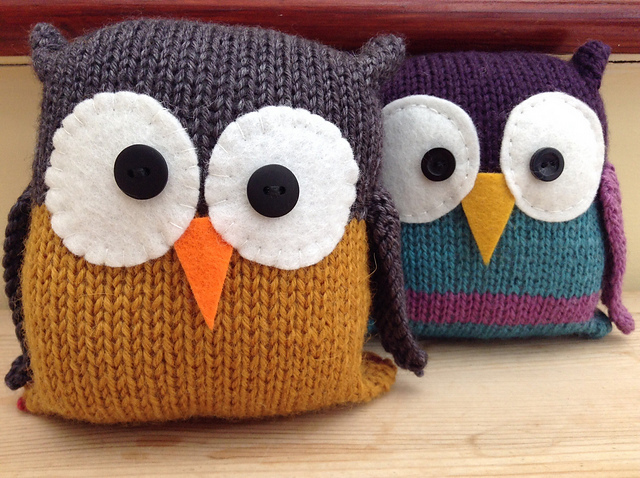 Tooley Owl by Amanda Berry is a very easy pattern available to buy Ravelry. The pattern is written for a DK weight but you could easily use another thickness. Just remember to use a thinner needle than your yarn suggests so you get a nice firm fabric. Great for using up leftovers!